We are electrical. Our brain, nerve system and all the cells communicate through electrical signals. Ongoing physical, mental, emotional, nutritional and environmental stresses can literally drain our system of energy. The result is poor function, poor health and disease. The Pulsed Harmonix device is a like battery charger for your cells. It produces a PEMF (pulsed electromagnetic field) that puts energy into the cell, normalizing their voltage and restoring their optimal function. In other words, PEMF therapy creates an environment for healing to happen. PEMF is well researched and documented. In addition to pain management and inflammation, PEMF is beneficial with conditions such as stress, fibromyalgia, chronic fatigue, sleep disorders, depression/anxiety, neuropathy, Parkinson’s and MS.
1. HOW IS A THERAPY SESSION CONDUCTED? The Pouch or Large Pad and/or both are placed on the body area where Dr. Starkman has indicated to provide the therapy. The Pouch/Pad can be placed on a specific body part or on a treatment table to lie on. The TruePulse A2000’s pulsed energy, even at the lowest setting, extends at least 3 feet from the applicator. 2. WHAT ACTUALLY HAPPENS DURING A THERAPY SESSION? 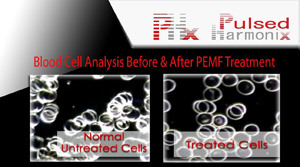 PEMF uses electrical energy to direct a series of magnetic pulses through tissue, whereby each magnetic pulse induces tiny electrical signals that stimulate and provide a simulated massage for the cells. Results include: Blood oxygen levels are increased, the lymphatic system is stimulated, and acupressure points and meridians are energized. This process reduces pain and helps to optimize body functionality. 3. WHEN WILL RESULTS OF THERAPY SESSIONS BE NOTICABLE? 85% of the 335 volunteers tested, reported significant pain reduction in their 15-30 minute sessions. With regard to persistent conditions, many therapy sessions may be necessary. Dr. Starkman will make recommendations on the frequency and quantity of visits. The duration of results depends on the patient in question, and the diagnosis and condition PEMF therapy is being used for. For some, the results can last a couple of days. For others, it can last weeks, or indefinitely. We advise that you keep a symptom journal, and note how long the effects last, so that you can discuss it with the doctor. 5. WHO SHOULD USE The TruePulse A2000 PEMF Device? 6. WHO SHOULD NOT USE THE TRUEPULSE A2000? 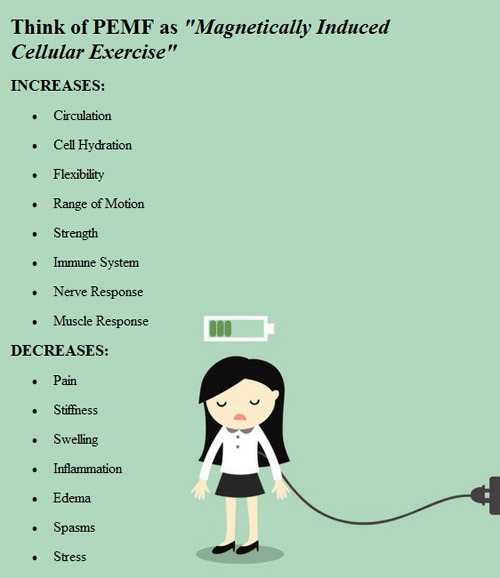 Pulsed Electromagnetic Field Therapy (PEMF) is a type of alternative medicine that can be used either alone or in addition to more conventional methods of treatment. Are you looking to include this service into your Treatment Plan? Ask Dr. Starkman about how PEMF can benefit you. 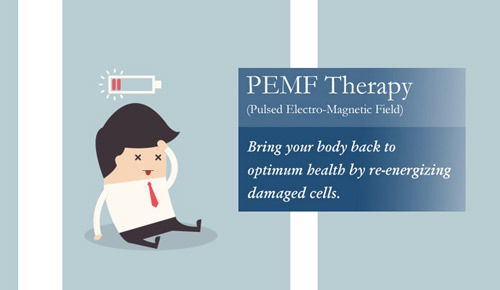 Schedule your PEMF Therapy Session now!